Originall y graduating with a qualification in Office Information Systems, Karen has vast experience in a number of sectors, with the key overarching theme of customer focus fundamental to her career success. Karen has since undertaken a wide range of certified courses ranging from HR to more recently a course in ITIL (Framework for Service Delivery). In her early career Karen held a number of customer focused supervisory positions including Call Centre Supervisor, Sales Configuration Management Supervisor and Office Manager. Karen was also instrumental in initiating the setup of a Limerick based community crèche and this included securing funding and ensuring appropriate reporting and regulatory requirements were met. Karen went on to fulfil the role of crèche manager leaving in 2012 to take up a role within the ICT Services Division in Mary Immaculate College. Karen quickly put her vast customer experience into practice and was instrumental in the reconfiguration of a customer focused ICT Help Desk facility within the ICT Services Division. 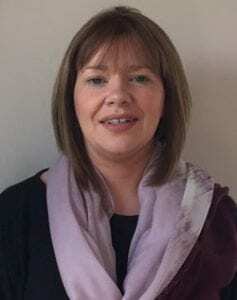 Following promotion, Karen is now the ICT Help Desk Coordinator which includes a remit to provide support to all ICT stakeholders including staff, students and partners participating in LINC Programme.